Baney Construction & Restoration, Inc. has extensive experience with the installation, maintenance, and repair of commercial and residential roofing systems. When you need comprehensive commercial roofing services, you can expect premium results from our capable team of roofers. We proudly serve Belvidere, Rockford, Collinsville, Illinois, and the nearby areas. As experts in the roofing industry, we have a comprehensive understanding of the various different commercial roofing systems available. 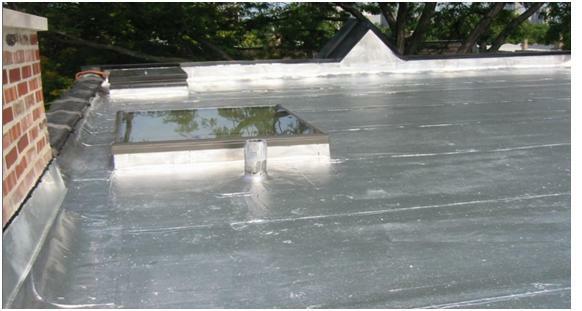 These include steep slope and EPDM roofing systems, metal and flat roof systems, thermoplastic single-ply membranes (TPO and PVC), built-up roofs (BUR), roof coatings, and foam. Each commercial roofing system has its own specific characteristics and attributes which offer specific advantages. We can assist you with determining which roofing system is best suited for your property. Baney Construction has the expertise and specialized knowledge to provide superior workmanship for all of your commercial roofing needs. Whether your property requires roof maintenance, repair or installation services, you can expect premium results from a knowledgeable roofing contractor. Our years of experience have positioned us as one of the most capable roofing contractors in the area. You can trust that we will provide you with the right solutions for all of your roofing requirements. At Baney, you will receive exceptional workmanship from an experienced roofing contractor. Give us a call to request service by calling us at (815) 623-3644 today. We look forward to delivering quality commercial roofing services throughout Belvidere, Rockford, Collinsville, Illinois, and the surrounding areas.